Description: MC Machinery is Mitsubishi's North American arm of their metalworking division. They were in need of a new site to provide detailed information on their vast range of industrial products. My responsibilities included directing multiple photoshoots for product and action photography, developing a sitemap and wireframes, and designing several iterative rounds of detailed comps. The site is fully mobile responsive. 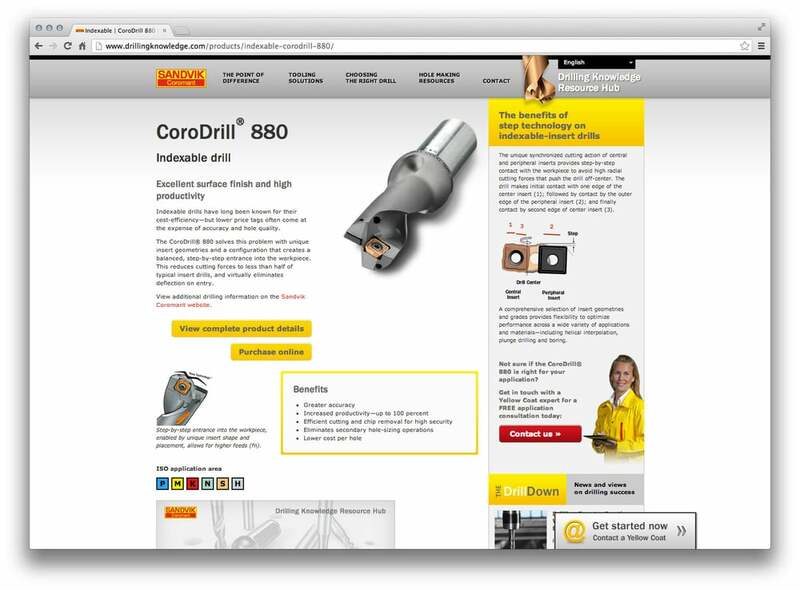 Description: Sandvik Coromant is a global leader in tooling for the metal machining industry. 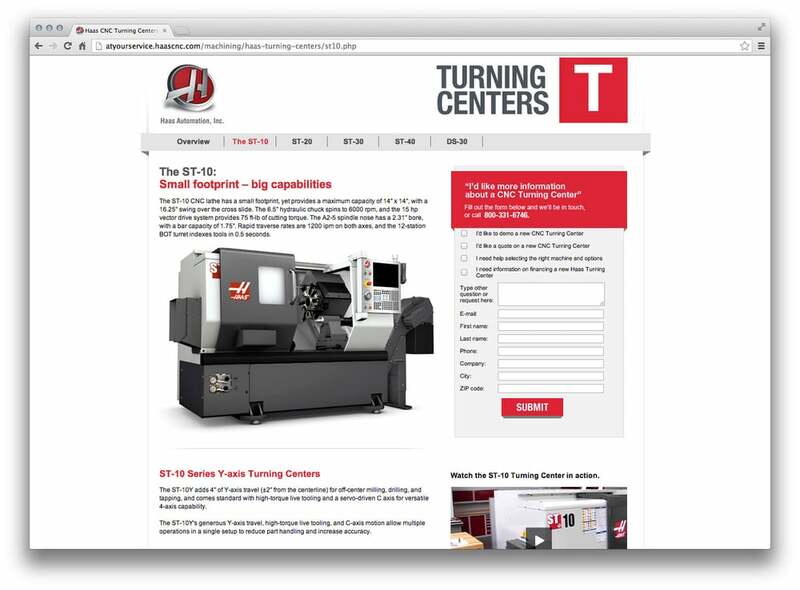 They were in need of a not-so-micro site where prospective buyers could find the perfect tooling for their application. 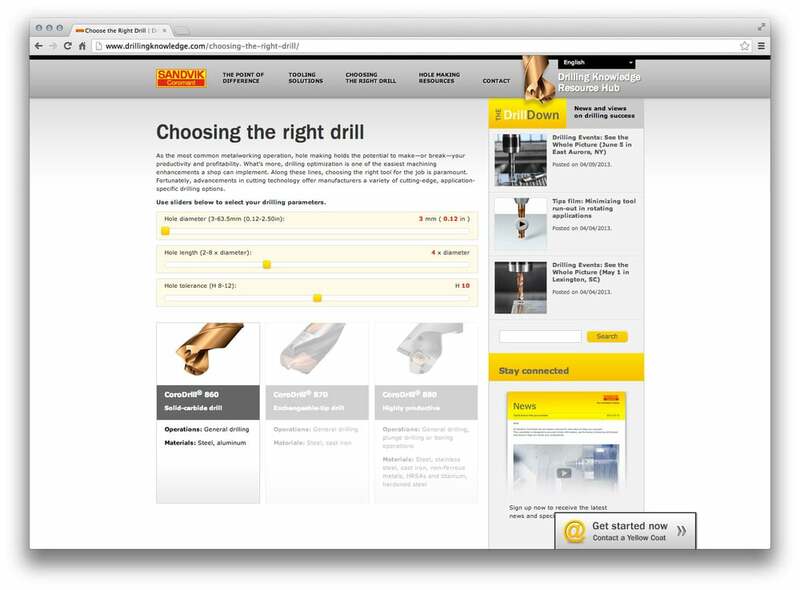 The site included interactive tools, such as a "Cost-per-hole calculator" and a product recommendation engine with variable inputs. My responsibilities included developing wireframes, imagining a multi-layer parallax scrolling experience for the homepage, and designing several iterative rounds of detailed comps. The site was also fully mobile responsive. Here are a few views of other recent projects, included a landing page for the National Association of Realtors, a homepage redesign for DMG / MORI, and a microsite for Haas Automation.